As the world prepares for the premiere of Game of Thrones' final season, restaurants and venues in Toronto are setting up watch parties for each week's episode until the May 19 finale. Fans like cosplayer Tess Balao say viewing parties are the only way to fully enjoy the show. As winter comes for the last time, several restaurants across Toronto will host weekly viewing parties to savour the final season of HBO's Game of Thrones. Cosplayer Tess Barao has mixed feelings about the show's Sunday premiere, since it marks the countdown of audiences' final journeys to Westeros and Essos. Barao said fans need to band together to savour the show's final episodes up to its May 19 series finale. 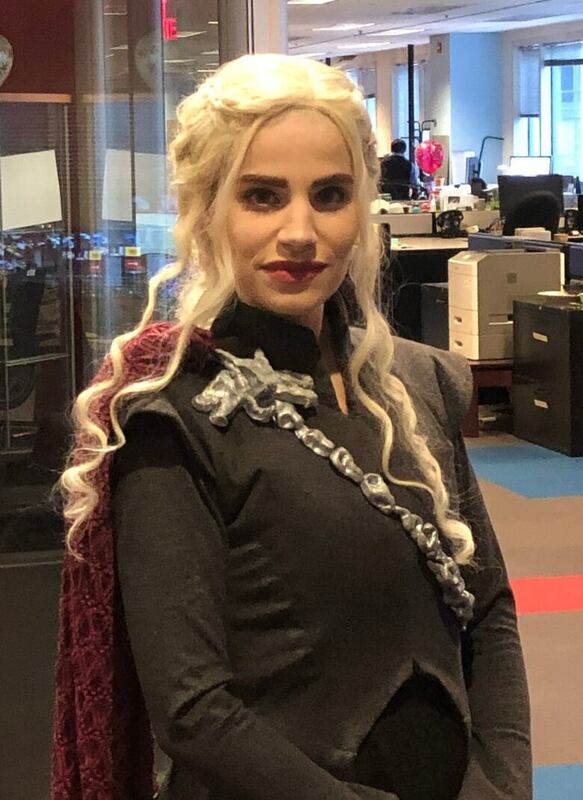 "You need to be there in the moment and react with everybody and feel that energy," Barao said on Metro Morning in full Daenerys Stormborn attire. "That's what the show is all about." Douglas Gregoire, general manager of Storm Crow Manor, said his pub is going all out this year, with weekly themed dinners, entertainment and discussions around past seasons, and predictions for the episodes ahead. He even snagged bottles of limited-edition Game of Thrones scotch to drink at the screenings. Even before working for the restaurant chain, Gregoire would only watch episodes with a crowd. He said it's a surreal experience. "There's nothing like watching it in a room with like 40 to 50 people and having a group of people cheer, a group of people booing the TV," he said. "I've watched a whole room of people cry when people have died." 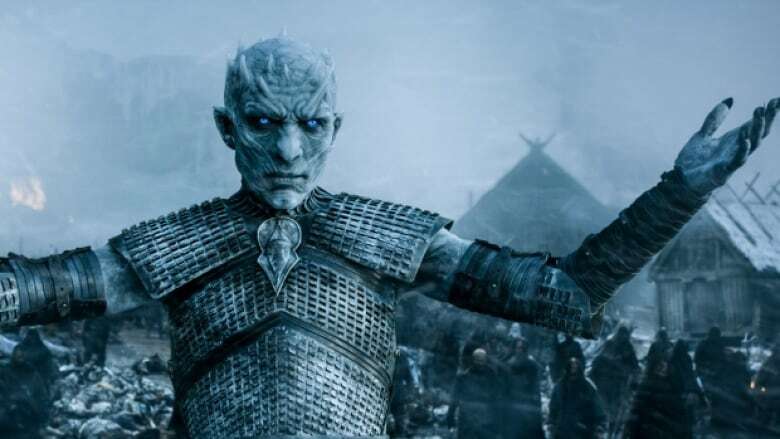 Gregoire has his theories about how season 8 will go — he's keeping his eyes on the Night King — as do the around 30 million viewers of the series. But he wants to go into the premiere with no expectations. "If Game of Thrones has shown us anything, it's that it's wildly unpredictable," Gregoire said. 6:30 p.m. – 11 p.m.
For Barao, she has no delusions that the upcoming season will spare audiences of its infamous bloodshed this time around. Barao even predicts an untimely fate for the Mother of Dragons. "I'm excited to see what's going to happen but I have a feeling that we're all going to be very, very upset." Though GoT is notorious for its twists and deaths, Gregoire noted, those attending a viewing party can experience their shock together. "Be prepared to really just share a monumental occasion." The season premieres at 9 p.m. ET Sunday on HBO.